More than 10 years of experience on every kind of media have made me a versatile, all-terrain journalist. I also have reported on all kind of news: money, world, politics, sports, culture, current affairs... everything but celebrities. Although, my focus is on Catalan/Spanish politics and world news. 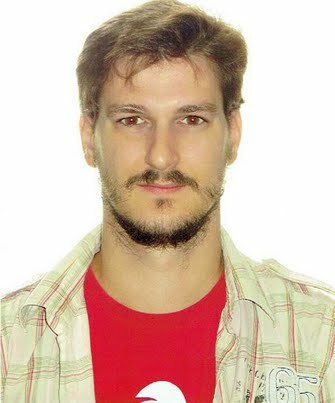 Apart from reporting (all kind of issues for all kind of media), I can be a good fixer for foreign media in Barcelona. 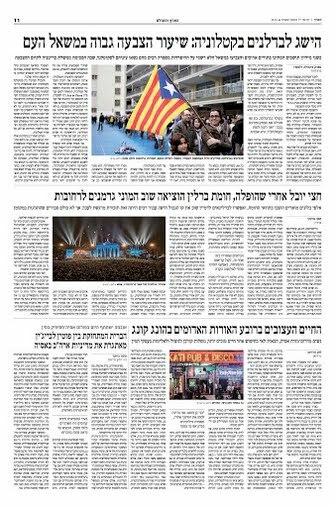 Coverage of news for Haaretz on Catalan affairs. 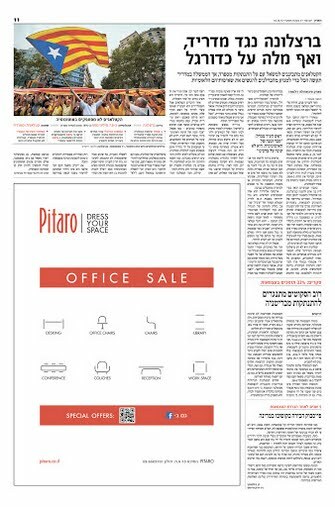 Written in English, translated to Hebrew by them.